Great crested newts are a European Protected Species and receive full and stringent protection under The Conservation of Habitats and Species Regulations 2010 and the Wildlife and Countryside Act (1981) (as amended). 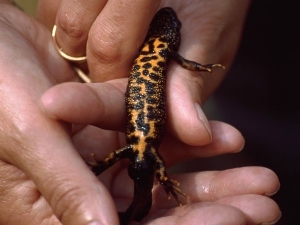 This substantial level of protection means that amphibian surveys must be undertaken and appropriate mitigation measures agreed before any development can be permitted that may impact on great crested newt populations. This species is frequently encountered in development projects as newts are found in terrestrial habitat as much as 500m from their breeding ponds. Survey work can only be undertaken during spring when the adults can be found in water bodies. Full suite of survey techniques including torching, bottle trapping, egg search, netting, pitfall trapping and refuge search. Preparation of reports to support planning applications. 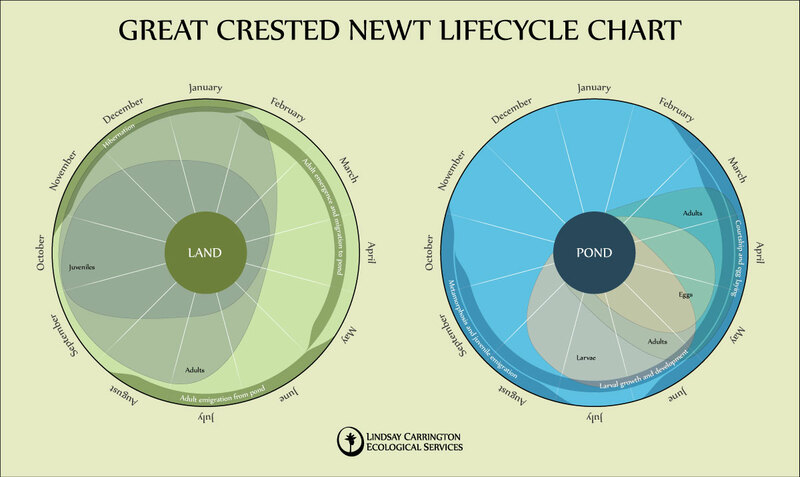 Design and implementation of mitigation schemes in accordance with the Great Crested Newt Mitigation Guidelines (English Nature, 2001). 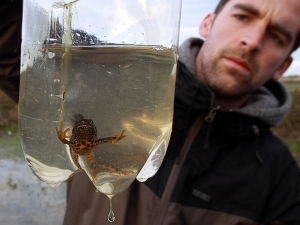 This includes extensive trapping and translocation programmes, habitat creation and enhancement for newts and monitoring. Obtaining Natural England licences (preparation of Method Statements).